Boston travel guide books will tell you everything you need to know about planning the perfect Boston vacation, staying in a wonderful hotel, dining in our special restaurants, enjoying top attractions, and finding interesting things to do. But which guide book will give you the best information about Boston? Frankly, some Boston travel guides are better than others at providing accurate descriptions of accommodations, attractions, restaurants, city maps, and things to do. Our 16 recommended Boston guide books fall into several categories: Comprehensive (including pull-out maps), Compact, Tours and Itineraries, and Specialized Topics. Most Boston visitors choose a comprehensive guide, and then pick one or two others depending on interests and needs. Although you can buy many of them locally (Trident Booksellers and Cafe, 338 Newbury Street in the Back Bay neighborhood is an excellent source, plus they serve delicious brunch and other selections throughout the day), we've added Amazon links so that you can easily buy and read them before your trip. Please note that as an Amazon Associate, Boston Discovery Guide earns from qualifying purchases. Why buy a guidebook when so much information is freely available online? Well, for starters, you can easily add notes, fold down the corners of pages you want to consult again and again, and carry it with you to places where free wifi or data may not be readily available. Plus, the best of the comprehensive guides give you all the information you need to know in one book. And the more specialized guides, such as those providing tours and itineraries, provide much more detail than you'll typically find in one place online. These comprehensive Boston travel books do a very good job of presenting a "big picture" view of the city while also providing enough details to help you successfully plan your trip. A comprehensive travel guide to Boston can be the best place (next to BostonDiscoveryGuide.com, of course) to start planning your trip, especially if you're planning your first visit to Boston. They'll give you an overview of neighborhoods, maps, top attractions, perhaps some suggested itineraries, and restaurant and hotel recommendations. In addition, comprehensive travel books provide tips about getting here, public transportation, where to shop, and all kinds of other things to make your trip planning easy. Many also provide pull-out maps for you to take with you as you're walking around - a nice bonus! The compact Frommer's Boston Day by Day is our top pick for a city travel guide, whether you're here for your first or your 100th visit. Many excellent neighborhood maps with clearly marked subway stops, plus a fold-out subway map and a detailed pull-out city map. Nice photos. Organizes information based on 1-, 2-, and 3-day introductory walking tours, plus more detailed walking tours around Boston neighborhoods as well as several "best of" sections for dining, nightlife, hotels, outdoors, etc. Short, concise descriptions about attractions, restaurants, cruises, etc. High-quality paper feels slightly laminated, so you can carry the book with you on a rainy day and it will probably survive intact. You'll find hundreds of stunning color photographs and maps of locations, neighborhoods, even site plans for certain attractions throughout DK Eyewitness Travel Guide Boston , plus an excellent pull-out map. Information is detailed, accurate, and tells you what you need to know for a successful visit. This is the book to choose if you like plenty of detailed information about what you'll see. It begins with itineraries (some of the best in terms of being able to actually complete them in the allocated time) and Boston history, then describes what you'll find in each neighborhood, includes chapters on restaurants, hotels, entertainment, sports, etc., and concludes with practical information including a useful street finder. The color-coded map is especially useful, as site information is keyed to it. Good for first time as well as return visitors. Lonely Planet fans will love this Boston guide - well-researched, with lots of insider detail, almost all of which is accurate. Instead of just making recommendations, it often presents pros and cons of options. Excellent pull-out map and on-the-page maps. 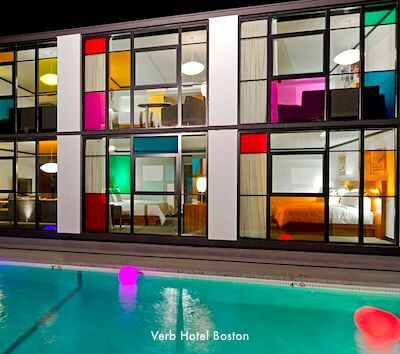 The book is organized by Boston neighborhoods, with additional sections on hotels, itineraries, restaurants, music, shopping, etc. Particularly useful if you have previously been to Boston is the "What's New" section. You can't go wrong with this guidebook. And if you are a Kindle Unlimited member, you can get it for free. A pocket-sized version of Lonely Planet Boston of Lonely Planet Boston is also available, but it provides less information. If you're visiting for the first time, it may covers exactly what you need. Otherwise, stick with the standard edition. Looking for travel guides focused on traveling with kids? All of the comprehensive guides described above include fine sections on family-friendly Boston activities for kids of all ages, and tend to be more comprehensive than books written specifically about "Boston kids activities." So save your money and give this category a pass. Most of the compact Boston travel guides recommended in the next section also include information about kids activities in Boston, even if it's just a list - which combined with the other information, will be fine. Fodor's Boston is particularly useful for first-time Boston visitors who appreciate a concise overview of the city, its neighborhoods, and many attractions. The section on getting around Boston on public transportation is especially useful. If you are planning the itinerary for your trip, you'll probably appreciate the section with recommended attractions based on the length of your stay. A handy pull-out map that includes T (subway) stations is included. Return Boston visitors may wish for more detail and depth. And people familiar with the area may be surprised to see adjacent city Cambridge included in the "Boston Outskirts" section. Boston City Guide gives you an excellent comprehensive introduction to Boston history, culture, architecture, art, cuisine, and similar topics, plus detailed descriptions of neighborhoods and top attractions, restaurants, and bars. Brief hotel section, with a few choices highlighted for each neighborhood. Maps and the many color photos are excellent, although unfortunately, no pull-out map. The last section includes a well-designed mini-street atlas. The Insight Guides series also includes the compact Boston Step by Step (which does provide a pull-out map). Don't be fooled, though, into thinking that it is a condensed version of Boston City Guide. Even though both cover most of the same attractions, the material is treated differently. Both are excellent resources - so buy the comprehensive guide for trip planning before you come, and Step by Step for carrying around with you once you're here. 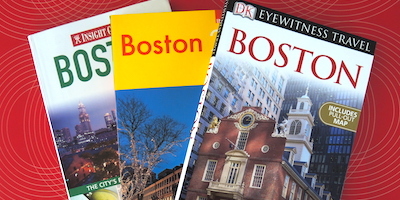 Condensed Boston travel guides can be convenient to carry around - but only if they include the information you need, and you can ready the print! These small-format travel books provide essentials, including great maps - and they're legible! Our #1 compact guide recommendation? Frommer's Boston Day by Day , reviewed above. In fact, this is our #1 recommendation if you want to pick only one Boston travel guide, fullsize or compact. If you're a fan of "top 10" lists, the compact Top 10 Boston will be a good choice. 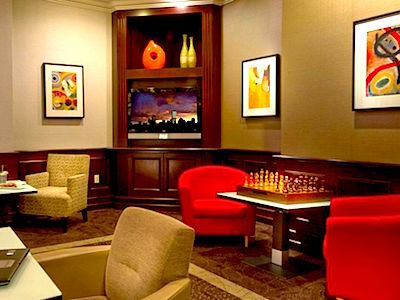 You'll find lists of the top 10 restaurants, attractions, hotels, and more. Particularly good are the neighborhood lists, with the author's recommendations for the top 10 things to see and do in each one. You may not agree with all the choices - I don't myself - but it's a good beginning point. Includes a pull-out map plus fold-out maps of each location, but print on the fold-outs is rather small. As an alternate, you may want to consider the more comprehensive (and superb) DK Eyewitness Travel Guide Boston by the same author (described above). Like the comprehensive guide, Top 10 Boston features gorgeous photos. Very compact - and so is the print. But if you're looking for a tiny compact Boston travel guide to fit easily in your pocket, this is it. If you bring Not For Tourists Guide to Boston on your trip, we suggest also packing a magnifying glass. Want to discover the "real" Boston? Get one of these guides, follow several of the tours, and you're sure to discover plenty of places that more general guides never mention. With 34 tours outlined, you're sure to find a few of interest to you! Each tour includes a very good map, photos, details about the main places you'll see, and tips about where to eat, drink, and shop. Approximately half of the book focuses on Boston, and the other half on other nearby areas such as Cambridge as well as a few day trips. Historian and former Boston Globe editor John Harris makes almost 4 centuries of history come alive in the 40+ walks through the oldest parts of Boston described in this thoroughly researched guide. You'll almost expect Ben Franklin or Sam Adams appear before your eyes as you pass the landmarks along the streets. John Harris is a master at weaving layers of social and city history together. Black and white photos as well as clearly drawn maps are a plus. This book is another of my personal favorites. Half travel guides, half entertainment, these books will give you a different view of the city. Want to really understand Boston? The Red Sox, our sometimes winning, more often losing local team is the place to start. This oral history of the players, managers, and owners behind this colorful team doesn't really have anything to do with touring Boston - but it will give you a flavor of the local passion. Of course, to really understand Red Sox Nation, as the inhabitants of Boston call themselves, you'll also want to order and read Red Sox Fans Are from Mars, Yankees Fans Are from Uranus: Why Red Sox Fans Are Smarter, Funnier, and Better Looking (In Language Even Yankee Fans Can Understand) . If you're an architect or fascinated with building styles, architectural history, or the social history shaping the Boston cityscape, this book is a must-have. Organized by neighborhoods, the book describes the history, architectural styles, and many more details of all the significant buildings in each area - which on some blocks is every single building, house, major site (such as the historic burying grounds), and even some monuments. Numerous black and white photos bring the text to life. Even though this is part of a "dive bars" series, the author - Luke O'Neil, a former Boston Globe writer - really knows Boston's dive bars. Suggestions - all 90 or so of them - are spot on. Very readable book about the history of 50 Boston landmarks, based on author Susan Wilson's former column in the Boston Globe about the city's historic treasures. What makes this book especially interesting is that the author - a historian by background - did extensive primary source research about each site, and in the process debunked some of the popular myths about them. Trident Booksellers and Cafe - Great selection of travel books for Boston and other locales, and wonderful food in their cafe - located in Boston's Back Bay neighborhood. Also, if you're visiting Boston and are interested in literary events, check the "Events" section of their website as they usually host at least 3-4 special events each week.